Leaked iPhone 5 Image - Is This The Next Generation iPhone? Leaked iPhone 5 Image – Is This The Next Generation iPhone? 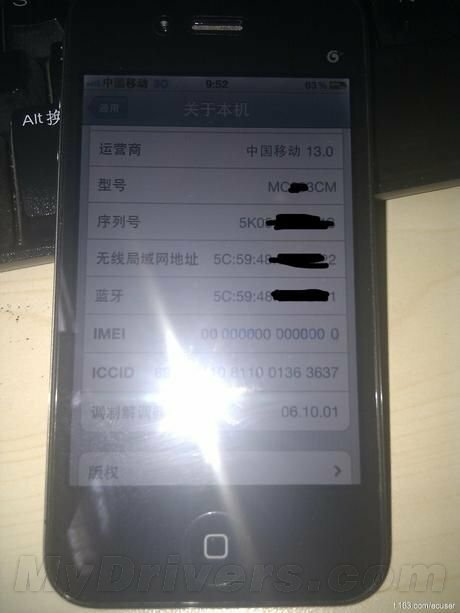 China site Sohu.com has released a leaked image of what could very well be the next generation iPhone – known as the iPhone 5. One hint that this could be the iPhone 5 is that it runs on a “yet unannounced” software (version 06.10.01). BGR speculates that this hints at the possibility of Apple preparing support for China Mobile’s 3G TD-SCDMA network. The iPhone 5 rumors are definitely in full swing, and Apple fanboys can barely contain themselves.